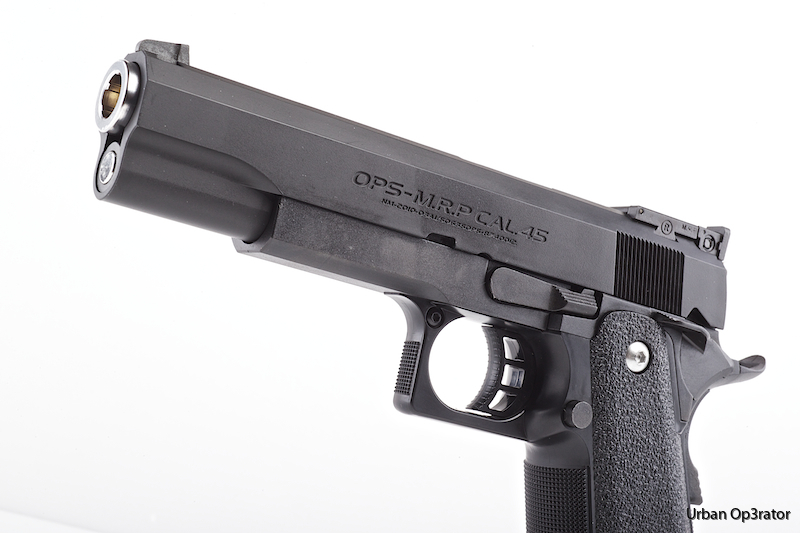 The Hi-Capa 5.1 is very an extremely capable and accurate pistol that makes it one of the most popular in Airsoft. 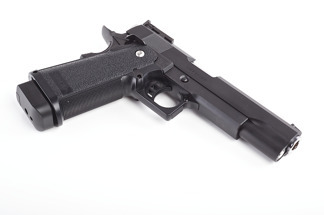 It is hands-down the most reliable gas blowback pistol of all time - and there is good reason for that! 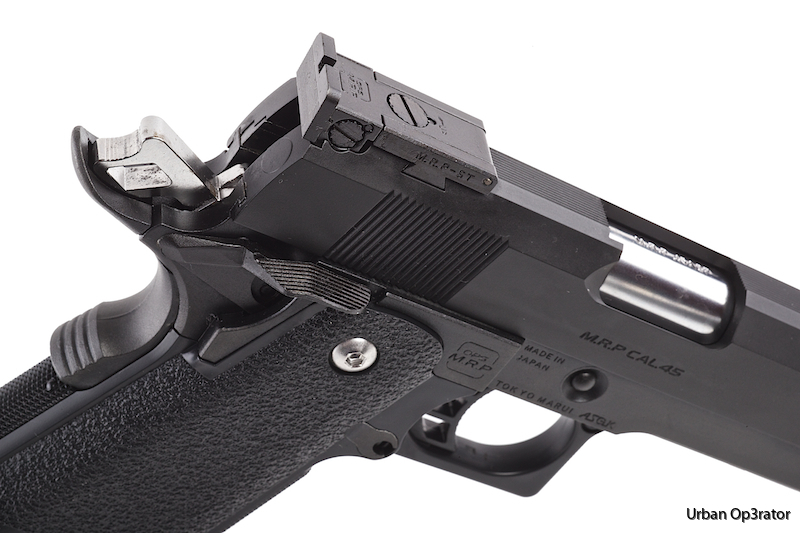 It's no wonder that so many custom guns are based on the Hi Capa platform and most competition shooters will not shoot anything else. Metal parts included : recoil spring guide rod, nickel plated hammer, adjustable rear sight, front sight, magazine catch, magazine, and frame with an ABS grip. The barrel is also handsomely nickel plated. Good for 300fps when using Green Gas, but many upgrades are available for this pistol that you can reach higher power with some modificaitons! Gun is well balanced and hefty thanks to the metal frame. Extremely smooth slide cycling action with strong recoil and a pleasant assortment of clicks and clacks when the slide is pulled back makes this gun a lot of fun to shoot. Includes a lower RIS rail for installation of accessories like flashlights and lasers! There is a huge assortment of aftermarket accessories to enhance the Tokyo Marui Hi Capa so be sure to click on RELATED PRODUCTS on the right to see how you can customize and increase this gun's performance. The possibilities are endless! Don't forget to stock up on BB's with your order as well. Spare magazines are also available for this gun in our MAGAZINES section. You will also need to stock up on gas propellent to power this gun from our ACCESSORIES - GAS section! This gun works with both HFC 134a and HFC22 TOP gas!